Two major events are taking place this weekend on the island: the Seaside Heights Half-Marathon and a new celebration in Lavallette. The Ocean Running Club’s 39th Annual Seaside Half Marathon and 5K will benefit the Tri-Boro First Aid Squad of Seaside Heights, Seaside Park, and Berkeley Township, and The ORC Scholarship Fund. The flat, fast, out-and-back course starts at the Beachcomber Bar & Grill on the Boardwalk and continues into Island Beach State Park. The race begins at 9 a.m. Sunday. For more information, visit: www.oceanrunningclub.org. Lavallette will kick off a new traditional on Sunday with the first-ever Food Trucks and Football on the Bay event. The event will take place Sunday, Oct. 16 from 11 a.m. to 5 p.m. at the bayfront and Philadelphia Avenue. Admission will be $5 for adults (which includes a commemorative beer mug), and free for children. 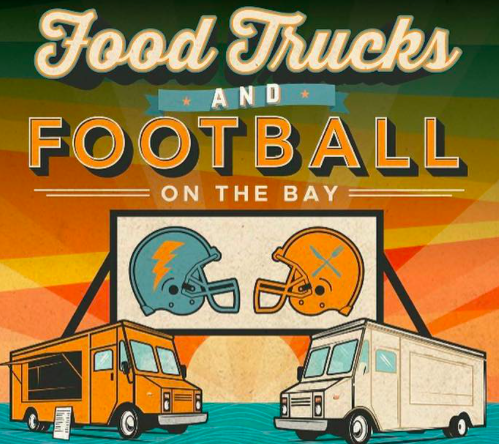 There will be beer, about 15 food trucks and football games streaming on a big screen.